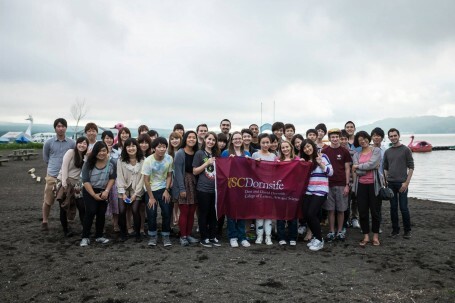 Days One & Two: As part of our exchange with the students here at Meiji University, the 14 USC students in Japan with Global East Asia traveled to Yamanaka Lake near Mount Fuji with 21 students from our host school, Meiji University. Having gotten a chance to meet students in the prior week, our hope was to engage in cross-cultural communication, sharing our perspectives on Japanese culture and society and also opening discussion on trans-pacific exchange. The first day of the trip was simply a chance for us to sit down with Meiji students and get to know them better, and the following day, the students from USC presented on various topics of interest in both Japan and the U.S. 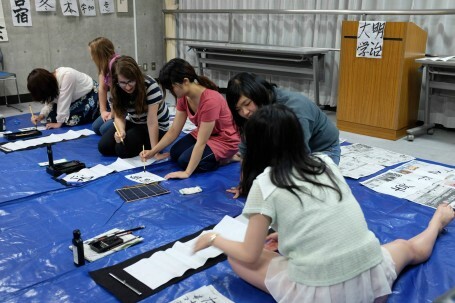 The topics came specifically from something that we had observed during our visit to Japan, including, but not limited to, advertising, LGBT rights, entertainment, transportation, and Japanese concepts of beauty/art (i.e., Wabi-Sabi). It was a great opportunity not only to share the perspective of an outsider observing Japanese society, but also a great chance to engage in a two-way discussion of societal values, issues, and challenges in moving forward. Of important note was the simple concept that in order to move forward, open discussion is needed on both sides. While for Americans this may come rather naturally, for Japanese people such open discussion often seems to be of greater difficulty. We spent a good amount of time discussing this concept, as well as what to do when open discussion becomes more prevalent. 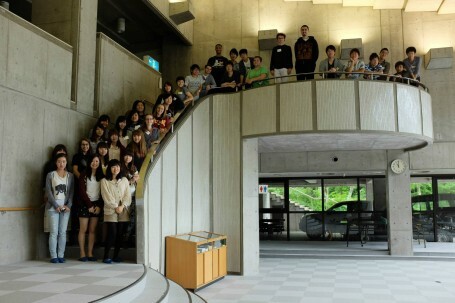 Following the presentations, we had a great time hanging out with the Meiji students while enjoying the mountain retreat. A lot of close bonds were formed among both students and faculty that will assuredly serve us well not only in our coming studies, but in our future as well. It was a great opportunity to share both in the classroom environment and on a more personal level. This entry was posted in Class, Yamanaka Lake by geajapan. Bookmark the permalink.